If you're searching for the real taste of strawberry fruit, this Capella flavor will be your favorite to make the best strawberry e liquid ! - I love strawberry, I'm crazy about it! Now, I look for a realistic flavor, not a candy taste, to make a good fruit e juice. What is this Capella worth? 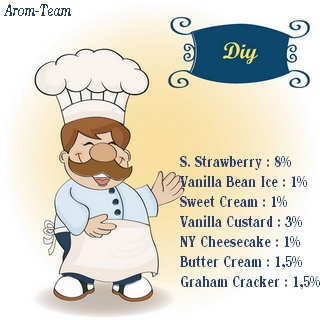 Arom-Team review: a very realistic fragrance, we see immediately a beautiful red and juicy strawberry, a sweet and slightly acidulated taste, fresh strawberries flavoring a sweet and fresh e liquid for electronic cigarettes. 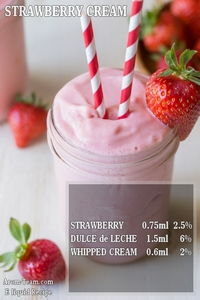 A flavor that makes the best strawberry dessert recipes ! What to do with this sweet strawberry ? 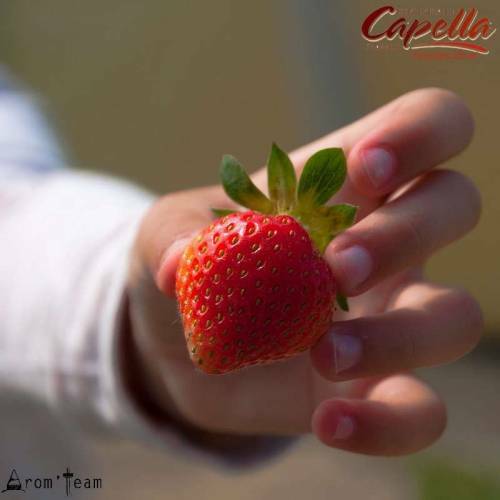 This Capella Sweet Strawberry flavour is easy to accommodate with blueberries, raspberry, watermelon and all natural flavors. It's also a major ingredient in many diy recipes, with vanilla custard or cereal for vanilla beans or smoothies. Is this strawberry a food flavor ? 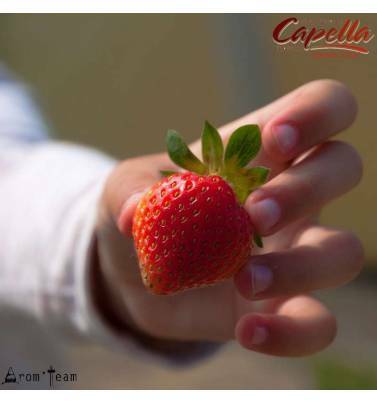 Like all Capella flavors, this strawberry aroma can be used in pastry, flavoring yogurt or making beverages.